One of the best ways to give your kitchen a new look is to change your cabinets. There are a number of options available today to fit your needs and budget. Not only is it appealing but a very effective way to add more value to your home. 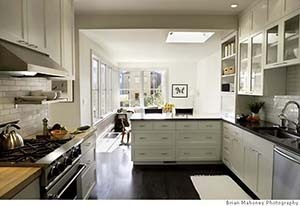 The line of cabinetry is really versatile, working very well in a variety of different kitchen designs. Whichever you prefer a more classic style or modern look you can find it in the white shaker cabinets. We do carry many colors of Shaker cabinets to honey, Modena, Cherry, espresso and several more. The traditional white color is one of our more popular cabinets, it goes great with any kitchen design so you can use your own creativity. We offer shaker style kitchen cabinets for wall, base, and tall cabinets, as well as vanities. These Shaker style cabinets go all the way back to the 1700’s and even back then they were known for their quality. We offer shaker style kitchen cabinets for wall, base, and tall cabinets, as well as vanities. To go more the traditional route attractive wood kitchen cabinets are always timeless and great way to add value to your kitchen. You will have a wide variety of stains, wood and designs to choose from. We offer a variety of top named brands at affordable prices to fit anyone’s budget. Individual distinctions are part of the beauty of any wood product. These naturally occurring variations that make a beautiful charm that makes your cabinets one of a kind. No matter which cabinet style you decide to go with you can rest assure that they will be top quality and long lasting. We offer Stock and Custom cabinet designs to fit your needs. We also carry all the hardware and accessories you will need for your new cabinets. We even offer sample cabinets so you can touch and feel the cabinets before purchasing, FREE shipping is also available for samples. While we do specialize in ready to assemble cabinets we also have Pre-assemble cabinets to choose from. Not only do we carry Kitchen cabinets but we have bath vanities, garage cabinets, and other kitchen accessories to meet your needs. This entry was posted in Home is where the heart is and tagged cabinet, family kitchen, kitchen cabinet on July 1, 2013 by Yami.